How did you get into the job – and what were you doing for work beforehand? I have been with Center Parcs for nearly 25 years. I started as a Housekeeper initially working Monday and Friday, on changeover days, as I had two young children at the time and these hours gave me greater flexibility to also juggle family life. As the children got a little older I was able to take on more rota hours, which still gave me flexibility but meant I could take on more responsibility. I have continued progressing from there! It’s hard to describe a typical day as every day is quite different. On our changeover days, on Monday and Friday, I allocate villas that need cleaning and also check them for correct standards once they have been cleaned. On some days I also get involved in the cleaning, I do a bit of everything, we all work as a team and that not only provides colleagues with support but provides me with variety in my role! What kind of qualities do you need? And any specific qualifications? You need to be a good team player. We’re like a family and everyone gets on well, but you must also be able to work on your own and use your own initiative. You also have to be reliable. If you want to be a Housekeeper, there are no specific qualifications you need; just the right attitude and a desire to be part of making the guests feel really welcome. I’ve made some really good friends here and you can have a laugh with your team. I love being able to switch off at the end of the day and not take any stress home. There are also some great perks, like the day passes, which give me the ability to access the village with friends and family on my days off. And what are the most challenging? Each team is given a target to meet and you have to ensure you are cleaning a villa to a high standard that visitors would expect. The targets are good though as it creates a bit of healthy competition to check we’re all getting rooms done to a high standard before the guests arrive. Why would you recommend the job to others? The flexibility aspect of the job is fantastic! The hours can easily fit around family or other life commitments. It’s also a really supportive environment. You get lots of training and you are given a ‘buddy’ when you first join, so you can learn as you go along. Plus, there’s a real community spirit here - we are like a family and I’ve made some great friends over the years. And what advice would you give to people who want to move into the industry? Go for it! It’s a great job and gives you lots of reward and opportunity to progress. In terms of applications the best advice I can offer is to show you have a passion for Center Parcs and their family values. What kind of pay and benefits can you make? There are a range of benefits available such as the day passes so you can bring your friends and family to the village on your days off and staff discounts whilst on the village. There are also lots of other perks available for staff like vouchers, a Christmas hamper, workplace pension as well as optional dental and optician schemes. 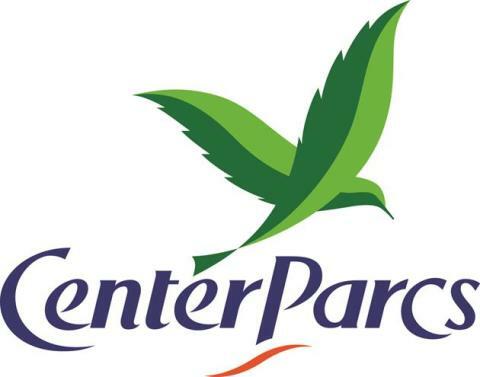 There are a wide variety of opportunities at Center Parcs in leisure, grounds, technical services, administration, guest services, finance, retail, housekeeping and food and beverage. The recruitment drive for the fifth Center Parcs village has now started, with more than 500 Housekeeper opportunities plus many more roles available.